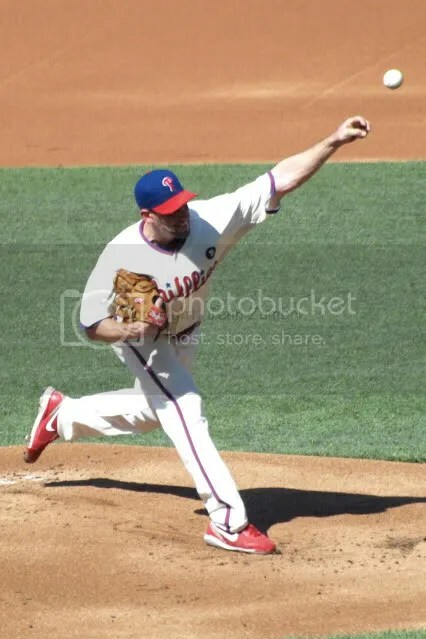 If I had not watched the game last night and you told me this morning that Cliff Lee blew a 4-run lead in a playoff game, I would have assumed that someone put crack in your cornflakes. But alas, I did see the game and yes, the unbeLEEable happened. Cardinals manager Tony LaRussa looked like a serious moron in the first two innings, pitching Chris Carpenter on only 3 days rest. The Phillies beat him up to the tune of 4 runs. With Lee on the mound, this was a sure win, right? Wrong. Because Lee imploded , allowing 3 runs in the 3rd and two more over the 6th and 7th. Frankly, he never should have been sent back out for the 7th after it was clear in the 6th that this was not his day. But the Phillies offense also blew a lot of opportunities. After scoring 3 in the 1st, Placido Polanco hit into a double play with 2 men on base to end the inning. It was still a good first inning, but they could have really put the game away here and did not. They left runners on base in the 2nd as well. Polanco is 0-8 in the series so far. 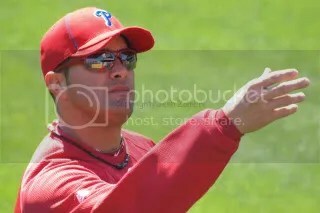 So is Carlos Ruiz. Ruiz took a huge shot at the plate to save a run yesterday, but his bat has come up empty. 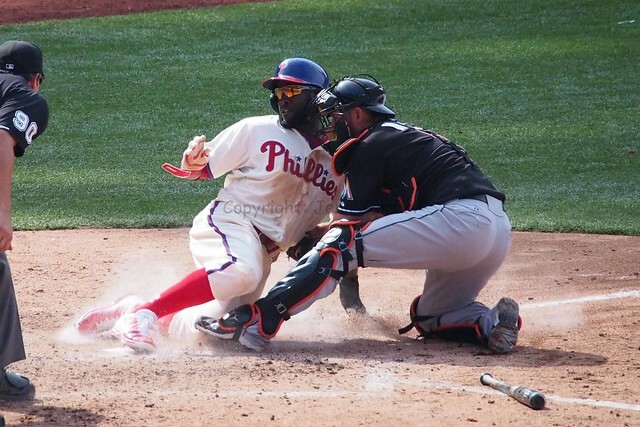 And Hunter Pence, although he has gotten a few big hits, has also left 5 men on base in the series and hit into a fielder choice in a key situation last night in the 8th, killing the momentum. So the game cannot all be blamed on Lee, but it certainly is a huge disappointment based on what we all know Lee is capable of. The Phillies head to St. Louis now and will put Cole Hamels on the mound against Jaime Garcia, who the Phillies have not been able to hit at all in the past. Game time on Tuesday is 5:00pm. Ryan Howard loves playing in his hometown of St Louis! And it was never more evident than last night as he went 3 for 5 with 5 RBI, 4 runs scored and 2 home runs in the Phillies massive 20-2 win over the Cards. After the game, Howard said, “Playing before family and friends is relaxing to me.” Well, if that is the case, then perhaps the Phillies staff ought to look into flying his family and friends out to Philadelphia to attend more games?? I mean, whatever works for this guy, let’s get it done! In one game, he raised his batting average from .204 to .212 and added 2 homers….now there’s a reason to smile! The run barrage started right from the first inning with Utley, Howard and Burrell going back to back to back with homers. This feat has only been accomplished 7 times in Phillies history (including this one) and this is the third time Pat Burrell has been in the mix. It was all downhill from there for the Cardinals as the Phillies kept pilling it on, especially in the 4th inning, where even the pitcher, Kyle Kendrick had 2 hits in the inning, one of which was a double. They batted around plus 6 in that inning and scored 9 runs. 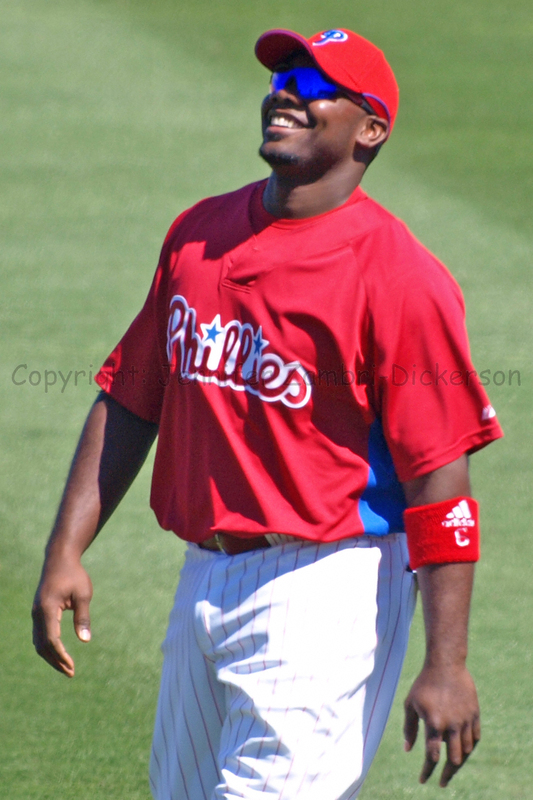 The only regular player left without a hit for the night was Jimmy Rollins, although he did get walked 3 times. Aside from all the run scoring excitement, the only other real drama was when Cards pitcher Russ Springer hit Howard with a pitch in the 8th inning and was ejected from the game for throwing at him intentionally. Manager Tony LaRussa was ejected next for arguing, but it sure looked intentional. Ryan stands so far off the plate, it is pretty hard to hit him. Not to mention, everyone knows you pitch him low and outside if you want to strike him out. After that, the Cards had run through so many pitchers, in an act of total desperation, they threw their second baseman on the mound in the 9th inning! Aaron Miles pitched a one, two, three shut-out inning to close out the top of the inning. It wasn’t pretty, but he mopped up well. Well, 2 more games in St. Louis. Let’s hope Howard’s mommy made him the same waffles for breakfast and injected them with whatever that home run power juice was again. Go Phillies!